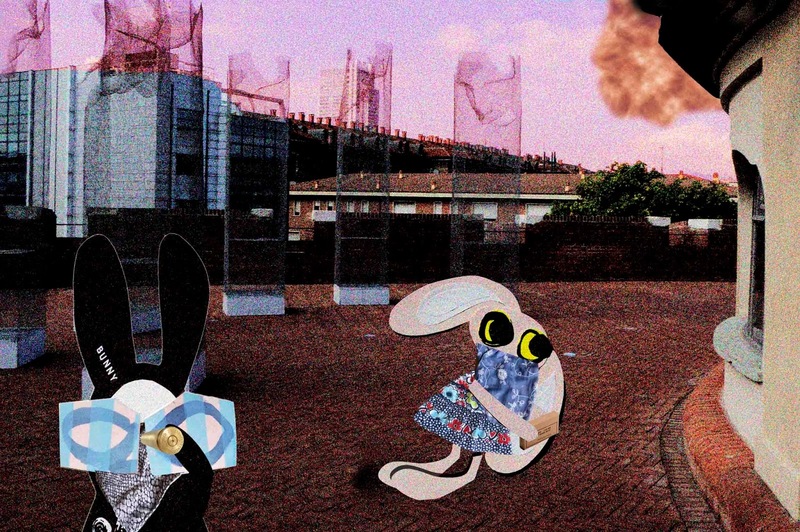 Lapinette and the Wabbit worked quickly on the rooftop. When the Sirocco blows through Turin you can't waste time. They were both enveloped in speckled red dust that swirled from the horizon - and in the blast, things had a tendency to vanish. Lapinette grabbed a cartridge box and read the inscription. "Never heard of it," said the Wabbit. Lapinette's fur stood on end because the Wabbit had heard of all that sort of thing and a bit more besides. "Never seen this before either." His voice was a mumble in the wind. Lapinette could hear it nonetheless. "It simply doesn't exist," said the Wabbit. Lapinette waited and shook dust from her scarf. "It has to be something." "It is really something. It's an ancient Roman bullet." "Nonsense," spluttered Lapinette, "how do you know?" The Wabbit looked closely, screwed up his eyes and read the lettering. "It says ... 'Up you, Crassus.'" Lapinette laughed. "It must have been Spartacus then." Her voice was sarcastic - but the Wabbit tucked the bullet into a plastic bag that he had in his fur. "It's a ghost bullet, that's what it is." The Wabbit slapped his fur and shed speckled red dust far and wide. "There are recent sightings of Roman centurions marching beside Loch Lomond bearing current day weapons." Lapinette shook dust from her ears. "I expect the bars were open late that night." "Someone said bar!" grinned the Wabbit. The Wabbit had one more thing to take care of before his Staycation was over. He had agreed to perform with Lovely Lapinette and the joint was jumping. So he jumped on stage and grooved, while Lapinette smooched and patted her ears. 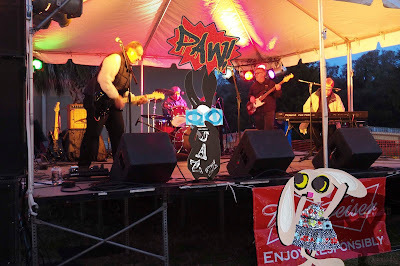 Jazz funk music was driving hard and for a while so did the Wabbit. Then he stopped and fished out a harmonica from his fur. Its wail cut across the music but the band paid no attention and funked on. 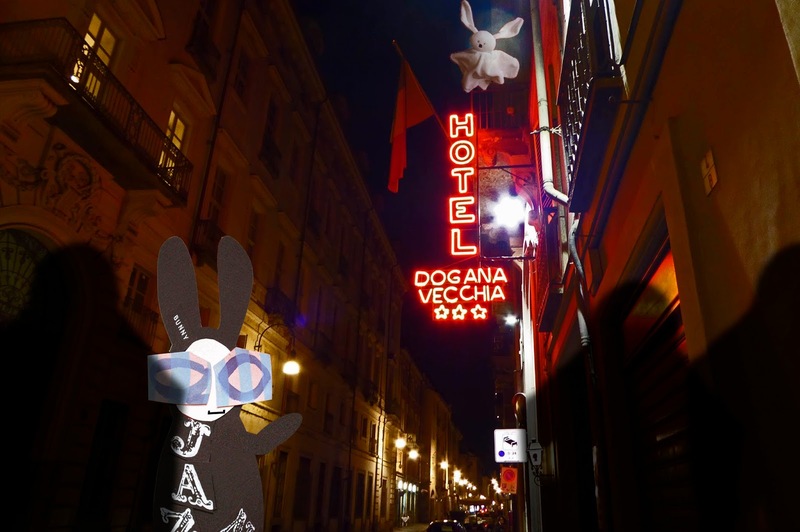 "I'm funkin' on down, to New Orleans," chanted the Wabbit. Lapinette pouted and sang in a cut glass accent. "Smelling of whisky and old blue jeans." "Funk it!" said the Wabbit. "Funk it," called Lapinette and she patted her ear in a Gilda fashion. It was impossible to ignore the driving rhythm. The band was a funky train and it just kept rolling. "What you got on board?" shouted the drummer, sternly. The Wabbit suddenly grinned. "We got a funk load of carrots," he yelled, "let us through!" "Funky carrots!" yelled Lapinette, "out of our way!" 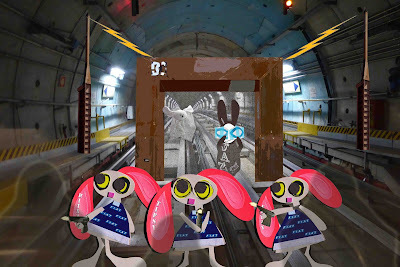 For a moment the Wabbit's harmonica did sound like a train load of carrots coming down the track. "We only got carrots," breathed Lapinette. "Then you got nothing to pay," shouted the drummer. The music drove on like an express. Then suddenly Lapinette turned and yelled, "We fooled you, we fooled you, we got celery. All celery." The audience cheered, the music faded and the Wabbit, Lapinette and the band made their bows. "How do you feel?" asked the Wabbit. "Completely funked," said Lapinette. 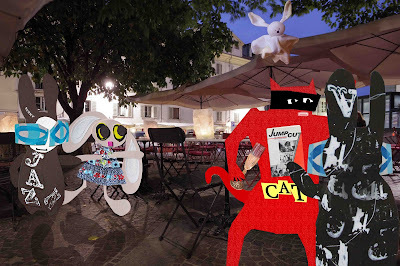 The Wabbit and Lapinette arrived to find Skratch the Cat and Wabsworth in heated debate. 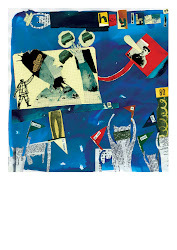 "No Wabsworth," said Skratch, "the story within a story is as old as Odysseus himself." Ghost Bunny fluttered across the tables and finding no-one to haunt, eavesdropped. Wabsworth waved a paw in dismissal. 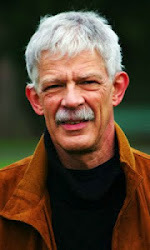 "The inside story guides us to the attributes of the characters, because the outside story has no plot." Lapinette nudged the Wabbit and dragged him to a table. "My staycation is over," frowned the Wabbit, "it was never supposed to have a plot." Skratch turned to greet them both. "OK Wabbit, then it's your turn to say what kind of an Adventure that was." The Wabbit grinned a big grin. "Its function was to disclose the background of characters to the audience, somewhat like Odysseus." Ghost Bunny fluttered and wailed. "The Wabbit met ghouls, sea serpents and shadows without bodies." Lapinette chipped in. "And he used tricks," "And culinary explosives," murmured Wabsworth. "All very colourful," smiled Skratch. "I met your long lost distant cousin by the way." 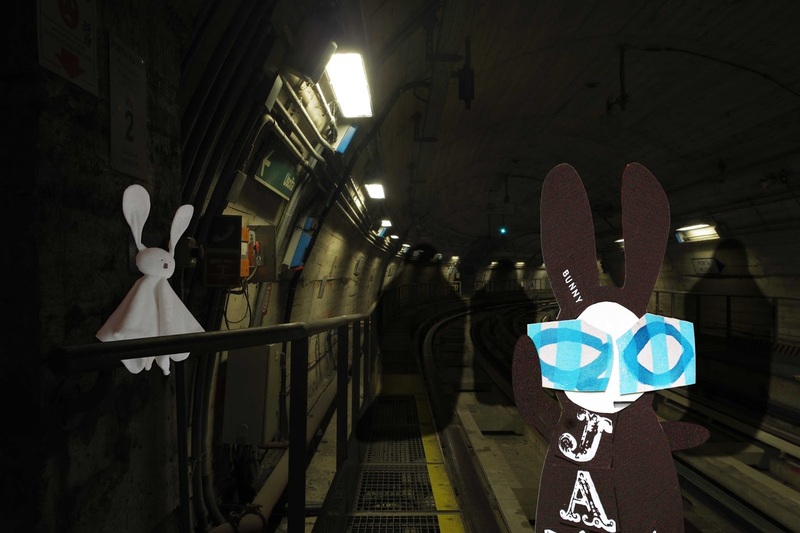 The Wabbit had nearly forgotten about trying to stay incognito - and was embarrassed by his deception. Lapinette covered for him. "That was a test of the Wabbit's wearable technology app." "I knew it was you Wabbit," said Skratch, "because you suddenly disappeared." The Wabbit looked furtive. He swiped his app and his ears vanished. "I'm taking that away," said Lapinette. Now the Wabbit was really enjoying his break. So he headed to Pluto Park where he knew he'd run into one of his friends. He hopped up and down and all around the iron towers whilst whistling a happy tune. Nothing happened and all was quiet. He wondered whether he was whistling loud enough and doubled his efforts. Then he heard what he was waiting for. It was like whistling too, but spooky. 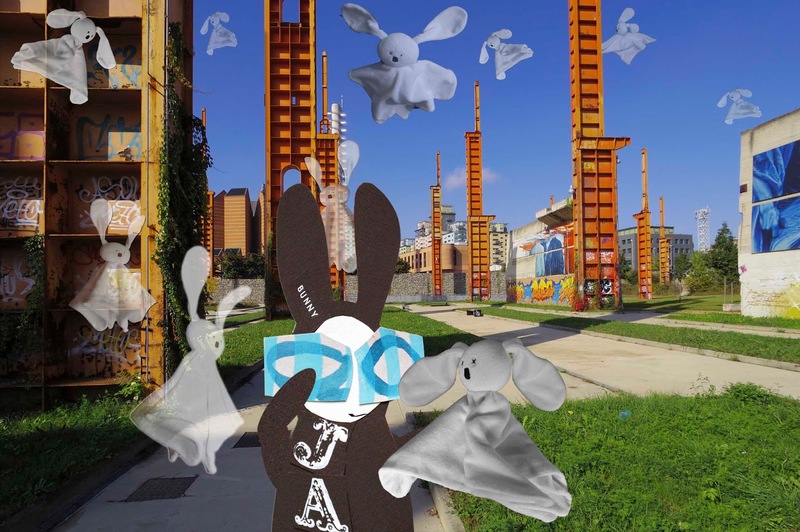 It got louder and louder and eventually Ghost Bunny fluttered down to greet the Wabbit. "I came to haunt your holiday." The Wabbit pretended to flinch. "Proceed," he nodded. Suddenly the air was full of spectres, coming and going and shouting,"Alarm! Frighten! Scare!" The Wabbit saluted heartily. "A terrifying display. Thank you." 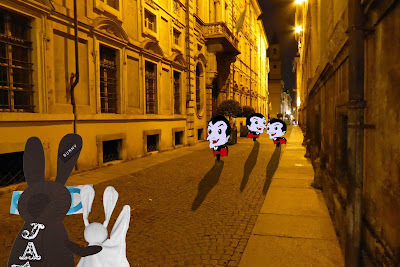 Everyone in the Wabbit's team was quite aware that Ghost Bunny was in love with the Wabbit, and that she had been ever since she followed him back from Pluto. In turn, they also knew of the Wabbit's deep affection for Ghost Bunny. He held out a paw. "Boo!" said Ghost Bunny. "Alarmed to meet you," replied the Wabbit. "You're just saying that," said Ghost Bunny, coyly. 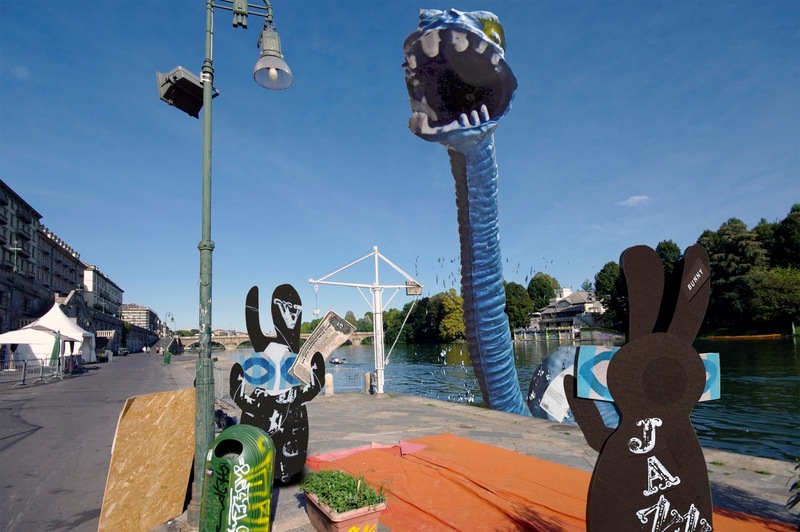 The Wabbit laughed. "I'd be too scared to trick you." "Wabbit, are you enjoying your staycation?" asked Ghost Bunny. "Things are just a little too quiet around here," smiled the Wabbit. At that moment there was a strange noise in the distance. Then another just like it. The Wabbit and Ghost Bunny looked at each other and grinned, "Trouble ..!" The Wabbit disembarked and hopped the quay. Wabsworth hurried towards him. "Sorry to disturb you during your Staycation, Commander!" "All part of the holiday," said the Wabbit brightly. Wabsworth waved an impressive looking bond. "It's your Dinosaur Fund." Wabsworth was breathing heavily for an android and he looked anxious. But nothing could phase the Wabbit on his staycation - not even a curious threshing from the river. He shrugged and waited for an explanation. "Funds passed through Panama and became incredibly soiled," said Wabsworth, "so we routed them for deep cleaning." The Wabbit was cheered. "Where?" he asked. "Loch Ness, Scotland," replied Wabsworth. A bellow echoed along the quay as a dinosaur reared from the river. 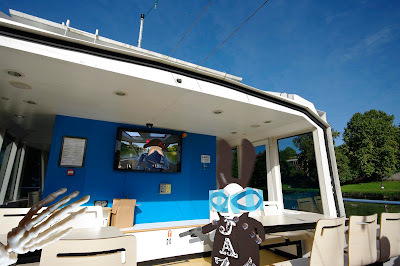 The Wabbit smiled nonchalantly because anything can happen on a staycation - and he swiped his app. "Is it Nessie?" "Ciamar a tha thu?" said the dinosaur. The Wabbit felt a warm glow from his fur and nodded. "I'm having fun on my staycation." Nessie roared in an impressive fashion. "We forgot to bill you for ironing. We're proud of our personal touch, so I came directly." Wabsworth waved the bond frantically and Nessie snatched it in her jaws and roared. "That will do nicely." Wabsworth frowned. "I insist on a receipt." A receipt fluttered down and the Wabbit tucked it in his fur and gazed up. "How did you get here, Nessie?" Nessie bellowed. "The official channels!" The Wabbit hardly had time to do anything technically wearable. 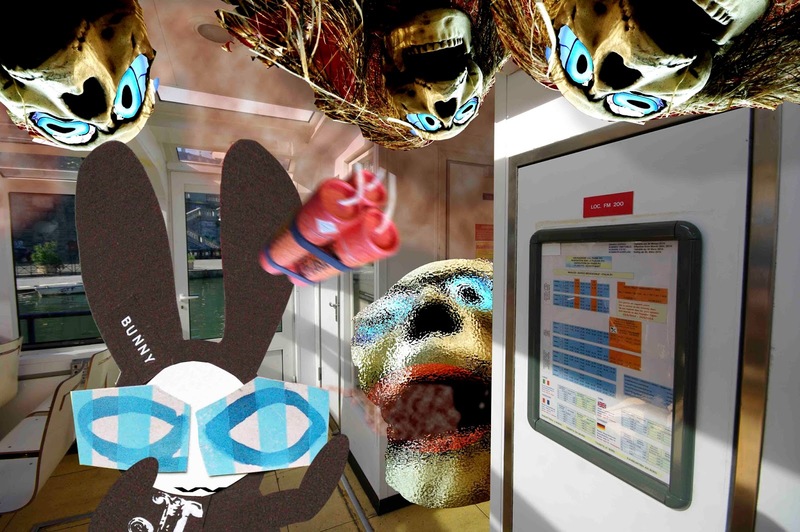 Monsters appeared from every cranny and soon the ferry was full of them. There was something familiar about the creatures and Wabbit was suitably contemptuous. Besides, he was on his holidays. He plunged a paw into his fur and swiped his app in good faith - but although it it was extensively extensive it did have some limitations where monsters were concerned. The Wabbit didn't care. He grinned and groped for something else, something long forgotten. He located it, pulled it out and threw it. The object exploded in a fine red mist to which the Wabbit was totally impervious. Known as Rabbit's Revenge it was the hottest chilli known to the civilised world. Plastic melted, paint peeled and the surface of the river boiled with a crimson glow. The monsters coughed and spluttered and choked but the Wabbit happily ingested the mist and declared it delicious. He was having a wonderful time. If monsters came close he merely breathed at them and they recoiled, whimpering, to the far side of the boat. He tried that several times but eventually he got bored and pushed them overboard. For a while he watched, as one by one they sank under the launch and disappeared. He swiped his wearable technology app and his fur told him he was having fun. The Wabbit's 28 teeth pulled back in an expression of pure delight. But he couldn't help checking the hour. "Time flies when you're enjoying yourself," chortled the Wabbit. The Wabbit leaned on a fence and waited for the motor ferry that plied the river. His staycation was working. Just waiting in solitary silence placed the Wabbit in a state of near bliss. Even when he caught sight of Lapinette, she dutifully ignored him and he watched her skip along the riverside. The Wabbit breathed deeply and relaxed as people came and people went. But he heard something disturb the water and thought it might be a crane. So he turned and, to his annoyance, saw it was Skratch emerging from an early swim. 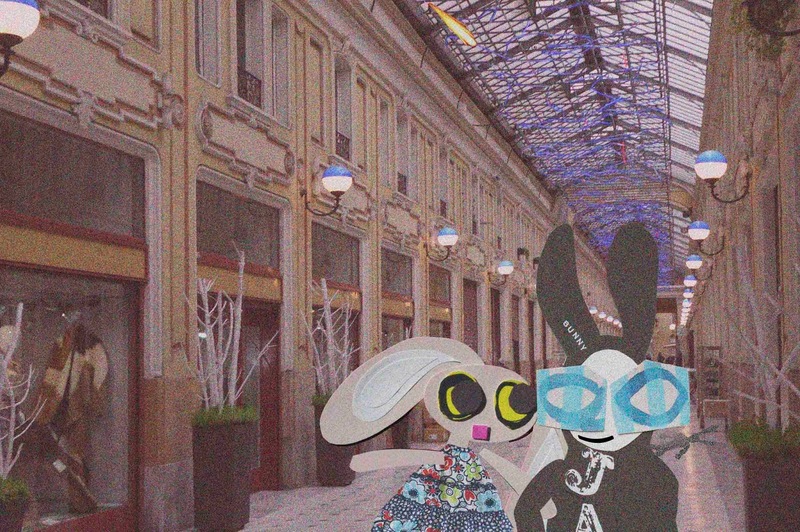 The Wabbit fumbled in his fur and swiped his wearable technology app. 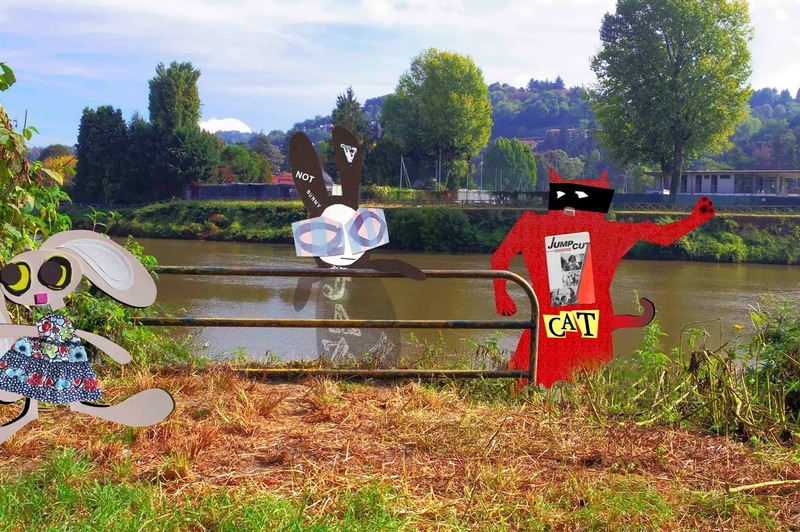 The Wabbit's head reddened and his lettering changed. He wondered if it was enough and he swiped again. His head became rather hot. "Don't I know you?" asked Skratch, shaking water from his fur. "You look a bit like my friend, the Wabbit." The bottom half of the Wabbit's body rapidly became semi transparent but the Wabbit chose to ignore it. Instead, he spoke in a husky voice. "I am one long lost distant cousin of the Wabbit. I am coming from Wabbitland." Skratch smiled. "Pleased to meet you. I'm going to a film festival about lost boys flying kites. I can get you in free." "Uh, uh" said the Wabbit and shook his head. "I want to be alone." Skratch looked down. "Very alone. You seem to be disappearing." The Wabbit fanned his face and puffed. "It is just a trick of the light."